I have a large open field with a view of the mountains in The Lost River Valley. The lots will be primitive but quiet and comfortable. I can accommodate tenters, self contained campers, trailers and RVs. (Tenters and campers be reminded that there are no services usually) Our valley has allot to offer for recreation from hiking, biking to atv trails, and horse back riding. I have a large open field with a view of the mountains in The Lost River Valley. The lots will be primitive but quiet and comfortable. I can accommodate tenters, self contained campers, trailers and RVs. (Tenters and campers be reminded that there are no services usually) Our valley has allot to offer for recreation from hiking, biking to atv trails, and horse back riding. There are also some hot springs within a short distance. Wild life make frequent visits from deer to elk, and occasionally a moose will wonder in. 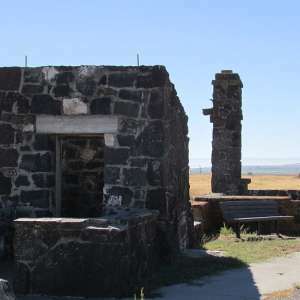 The area is host to several local events such as Atomic days in July, The Moore car show, The Craters Of The Moon National Monument is within a short distance and is a great way to see and learn how this area is evolving, and is a wonderful way to spend a nice summer day. Many mountain lakes can be hiked into as well. King Mountain is our backyard, Its known for the hang glider and para glider launch and a hot spot for the people that fly. You can drive to the launch site with a SUV or truck Its quite the view, you can see allot of country from up there. 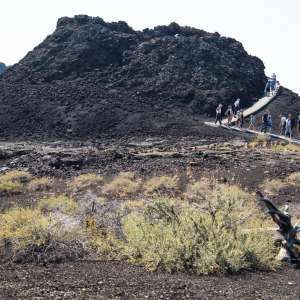 Craters of the Moon National Moument will frequently have star gazing events on the weekends. We were one of the hot spots in the country for the recent solar eclipse and was perfect for seeing this amazing event. Arco is the first city in the world to be lit by atomic power, the reactor is still out in the desert a short distance from the ranch (within 30 miles). EBR1 is its name and it is now a museum for people to learn about the area and how nuclear reactors work. 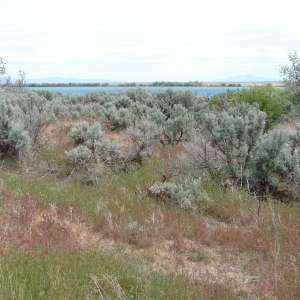 It is located in the Snake river plain also known as the Arco Desert. It has a excelent view of the three buttes. Big Southern Butte closest to EBR1 is the most prominent sight in the desert it was and still is a land mark for the area used by us locals, but mostly used by the pioneers that came across in the early 1700s and 1800s. There is a road to the top of Big Southern that has an amazing view of the eastern part of the state on a clear day. The indians that lived in this area at the time used the butte to tell of future storms comming to the area. When conditions are right It will (cap) or cover on top with a mushroom shaped cloud when a storm system approaches. Then the Twin Buttes, not as large but just as impressive, they are all part of the volcanic chain that makes up the Craters of the Moon and Yellowstone Natoinal park. You can you oun vehicle and take the Mine Hill Tour in Mackay. Learn and see how the early settlers lived and earned there place in history. 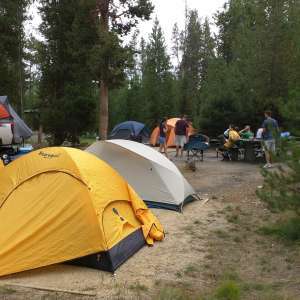 We are a great overnight stop before heading to the Salmon/Challis area. There is lots to see and an abundance of things to do if you like the mountains, desert, lots of open space and fresh air. So come on up, we would love to see you! The Moonshadow Ranch Family Welcomes You! There is a facility at our local park just a 1/4mi away. I have a couple tables fpr use, first come first get. Have a question? Send Anthony a message! There are a few mountain creeks and the upper Big Lost River. There are many mountain lakes that can be hiked into. Mackay Reserviour has good fishing and There's always the Salmon River, Some other lakes rivers that can be driven to. Lots of places to explore, read the climbing line. There are alot of designated ATV trails close to the campsite, including wood canyon, and the Big Butte trail. 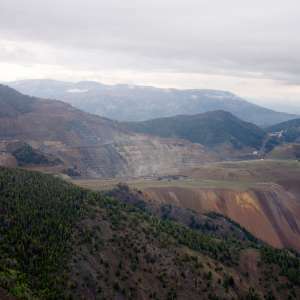 There is the Mackay Mine Hill Tour road. And other mountain trails within a short distance. There is some water parks a distance away. There's the Challis Hot Springs its a little primitive but a nice soak. 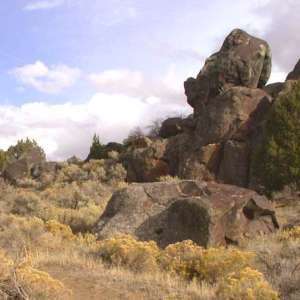 Natural features you'll find at Moonshadow Ranch in Idaho. Lots of open desert area, quite famous and historical with the early settlers that made this area home. Challis Hot Spring, and a few couple of off the map ones. Mackay Reservour, Many mountain lakes that can be hiked to. Our Big Lost River is our valleys name sake, Salmon River is our famous one its not far. The Snake River is longest in the state. There are a couple of waterfalls on trails up the Trail Creek Access. We couldn't have asked for a better place to stay during the total eclipse. Toni and his family were the most attentive and gracious hosts. They provided a fire ring and we could purchase fire wood from them. The grounds were very dry/dusty and there was a lot of dried cut grass on the ground, but that wasn't a problem, just be aware so you can bring something to sit on like a blanket or chairs. The view of the mountains all the way around are spectacular and at night you can see stars for miles! Unfortunately the river wasn't running at the time we were there, but that just means we'll have to come back again soon! The weeks leading up to our stay, Toni was always reachable by text or email and he answered all of my questions. He and his family even prepared a huge meal for all the campers after the total eclipse. The camping experience was great, but more than that, meeting Toni and his family was the best part of our trip. If you stay here, you won't be disappointed. We had a great time at Moonshadow Ranch! The campsite was on our way from Portland to Yellowstone - this was a great stop after decent day of driving. Upon arrival our host Tony greeted us and showed us out to the campsite. The river was running which made the experience extra special. We made dinner over a campfire and enjoyed eating on the picnic table at the campsite. Although the moon was almost full, we still got to take in a few stars at night. In the morning Tony even offered us eggs from his daughter's chickens! I would definitely visit this spot again and am already thinking about a possible second trip for the eclipse! Moonshadow Ranch was the perfect location for our camping trip. If you're looking to get away, there's no better place than here. Tony and his family were amazing hosts and made sure our group was comfortable. I'd definitely recommend if you're traveling through Idaho to take a detour and camp here after visiting Craters of the Moon park. Tonnie and Lucy were exceptional hosts. They were eminently approachable, generous and kind. We especially enjoyed sitting around Tonnie's campfire and admiring the night sky. Would definitely stay again if we find our way back to Moore. Tony, Hannah and the crew were AMAZING for our eclipse stay. They are thoughtful and welcoming. The property itself has beautiful views of the surrounding mountains. Great base camp for your travels. We paid to stay here during the eclipse, but ended up forfeiting two night's payment and staying elsewhere when we learned, after the fact, that the river which is prominently featured in the photograph wouldn't be flowing during our stay. Since we didn't stay, I can't comment on the place, but in any case be sure to ask if the river will be flowing before booking your stay. Tonnie and his family were fantastic hosts, who made every effort to make the eclipse a special and pleasant experience for their guests. They even made a special vegan meal (barbecue jackfruit, potatoes gratin, coleslaw) for a couple of us. It's an 11-hour drive, but I expect to go back sometime. Thanks, Tonnie! Couldn't ask for nicer people. Site very organized with fire pit rings and wood for sale. Fresh water available. We saw the eclipse here. Close to several places to explore. Moonshadow Ranch is a little gem of a place! Nestled in the valley between two beautiful mountain ranges beside a creek you will find this lovely piece of land and the wonderful family that owns it. Lots of property to explore onsite and tons of stuff to do nearby within a short drive. Tony and his family made us feel so welcomed as if we were part of the family. We loved sitting by their beautifully constructed campfire which overlooks the creek! If i could give more stars I would! If you've fully explored and read the information on this listing page and still have questions, you can message Anthony here.